ADS A LOT! 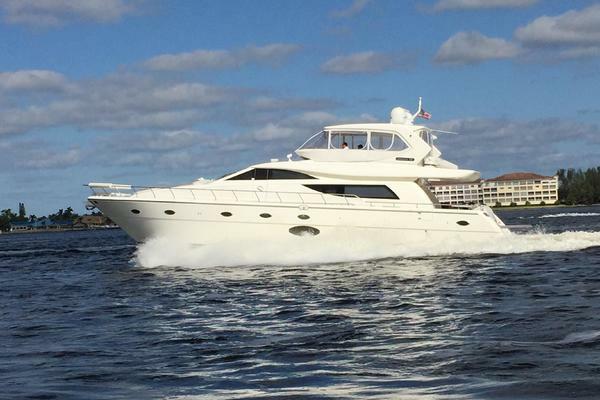 is 58 Sedan Bridge by Sea Ray that was built in 2006 that features three staterooms and two heads. In 2015, the vessel received numerous upgrades including amenities in all three staterooms, A/V upgrades, refrigerator in the bridge, coverings, and carpet liners. She also just completed her annual services and waxed in August 2017. Boasting a hydraulic swim platform with chocks, owners and guests will step aboard to the cockpit with new Fusion Stereo system. Enjoy the sun and water with bench seating to aft. Moving forward to the dark cherry matte wood interior of the salon, this area features upgraded A/V for plenty of entertaining. U-shaped seating is to port and a sofa to port with a pull out bed. Chef's will enjoy the Sub Zero refrigerator, upgraded ice maker, Kenyon stove, and microwave/convection oven. The dinette is located to port with wrap around seating. 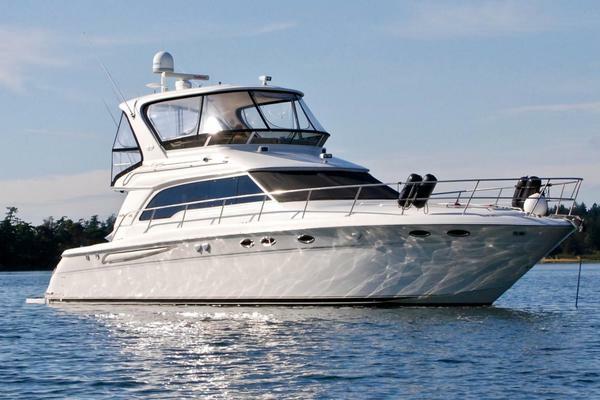 Sleep soundly in the master stateroom with an upgraded air conditioning unit and monitor the vessel with the custom mounted Raymarine A65 system. Both the master and the VIP Stateroom (bow) have queen sized berths and recently upgraded A/V systems. The starboard stateroom is perfect for the kids with upper and lower bunks a loaded A/V system. This stateroom also houses the washer and dryer. Both the master and guest heads have solid surface counter tops, VacuFlush heads, and enclosed showers. 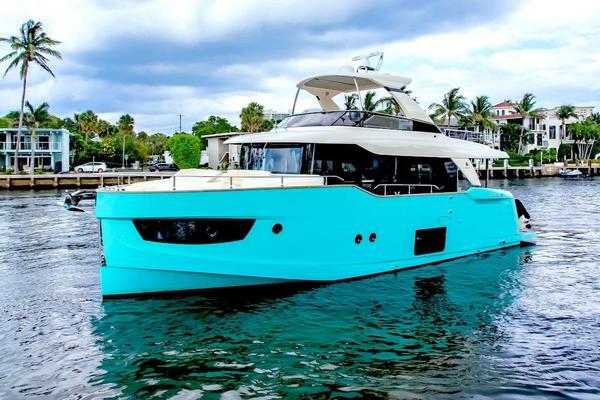 The flybridge is the perfect place to entertain guests with a new Fusion Stereo system, and in 2015 new refrigerator, ice maker, and 32" Samsung TV. Seating is located to the aft and was redone in 2015. The helm has two seats with flip up thigh rise. The helm has upgraded Raymarine E125 GPS/Chartplotter/Radar system and autopilot. ADS A LOT! is located in Ocean Reef, FL. Come step aboard!